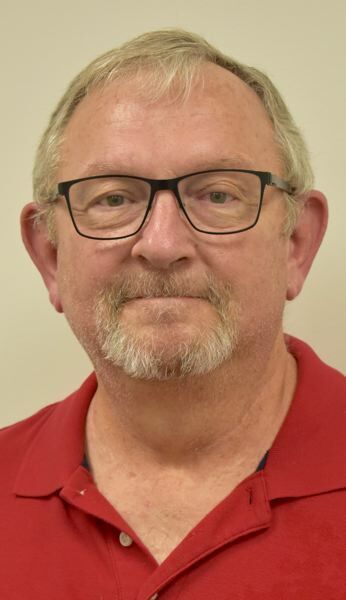 Fairview Planning Commissioner Russell Williams, 68, was looking to further his volunteer efforts, and to advance his community service, has decided to run for a spot on City Council. Williams is running against Balwant Bhullar for Position 4. The council seat will be vacated by Lisa Barton Mullins who opted to not file for re-election. Williams worked for the Nevada Department of Corrections where he ran the inmate store system for 17 years before retiring. The Outlook met with Williams to discuss his priorities if he gets elected in November. THE OUTLOOK: Why are you running for election? RUSSELL WILLIAMS: Because I'd like to give back to my community. I love the community of Fairview, and every place I've been, I've been involved. Not quite to this extent, but I've always been involved in what's going on in the neighborhood and community. I thought this is a good way to do it. WILLIAMS: I'm pretty straightforward. I hate to blow my own horn, but I consider myself very ethical, very honest. I'm not easily manipulated or swayed. I look at all the facts before I make decisions. I weigh the pros and cons. In corrections, I had 19 stores in 16 facilities across the state. Each one's run by a warden, or a lieutenant, and every one of them ran their prisons and their camps like their own personal little fiefdoms. So I deal really well with people. I listen to all sides of an argument then I give my argument, and I'm good at coming to an amicable agreement. If we disagree, I'm willing to work with somebody to either persuade them — or let them persuade me until we meet in the middle. WILLIAMS: I would still try to get to a general consensus. I realize there are people out there (to whom) it doesn't make any difference. They are not going to change their mind. There are those people out there, but I've found over the years, if you give them a logical type of solution, most of the time they'll meet you, not quite halfway, but close enough you can walk away with a feeling of accomplishment. OUTLOOK: What do you think of Fairview's plastic bag ban? WILLIAMS: I recycle more than I throw away. We use those (reusable) bags you buy in the grocery stores more than plastic. We keep our plastic bags and reuse them as trash liners, but back to your question, I would actually be in favor of it. I look and see what's happening in the oceans, and even what's happening in (our local rivers). It's really affecting the wildlife and fish. You look at what's happening with the salmon population, and a lot of that is from the trash in the oceans as well as the warming of the oceans. OUTLOOK: If elected, what would be your priorities on council? WILLIAMS: There are a lot of issues I don't necessarily agree with such as (a requirement for) parking spaces and landscaping (for new developments). The ordinance states there has to be a certain amount of retail in an apartment complex (for constructing a building in a mixed-use zone). It states there must be some retail with the living space, and a lot of that is very ambiguous. It's very undefined. On the Planning Commission we can make recommendations, but ultimately it's City Council that makes the decision on those sort of things. Right now, I think one and a half cars per apartment is the standard. I don't know many people who have one and a half cars. We have a critical housing shortage in this area, and I'd like to see more single-family type homes. I don't necessarily like giving stuff away from the city, and I don't like giving incentives to bring big corporations to come out here. OUTLOOK: So, are you opposed to Fairview's SDC waiver program (that allows builders investing more than $675,000 to not pay the city's four System Development Charges)? WILLIAMS: Yes, that's what I'm referring to. I have an issue with that. WILLIAMS: I was once recently asked do you have an agenda. Well, unfortunately in today's politically charged environment if you've got an agenda that's a bad thing. One side is telling the other side they have an agenda. When I was asked if I have an agenda, I kind of bristled at it and said "Oh no, I don't have an agenda," but when I sat down and thought about it, I thought "yeah we all have an agenda." You have an agenda here (at the newspaper) of getting out the truth, informing the public, giving the public the facts. I have an agenda as a father, as a grandfather, as a husband to do the best for my family to keep them happy, and to keep them safe. Having an agenda is not necessarily a bad thing.